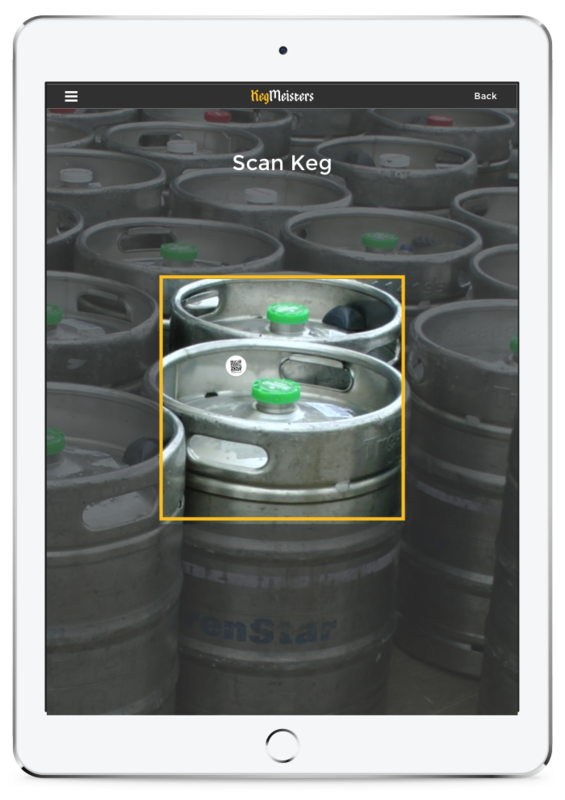 Kegmeisters is a keg tracking and management platform that provides insight into where your valuable kegs are, who has them and when they're coming back, while giving consumers a place to order a keg without the line. Best of all - it's free for breweries. Beat the line at the bar. We have collaborated with brewers and beer tenders to create a system that lets beer fans see their favorite brewery's available beer inventory and order kegs instantly - any time, anywhere. 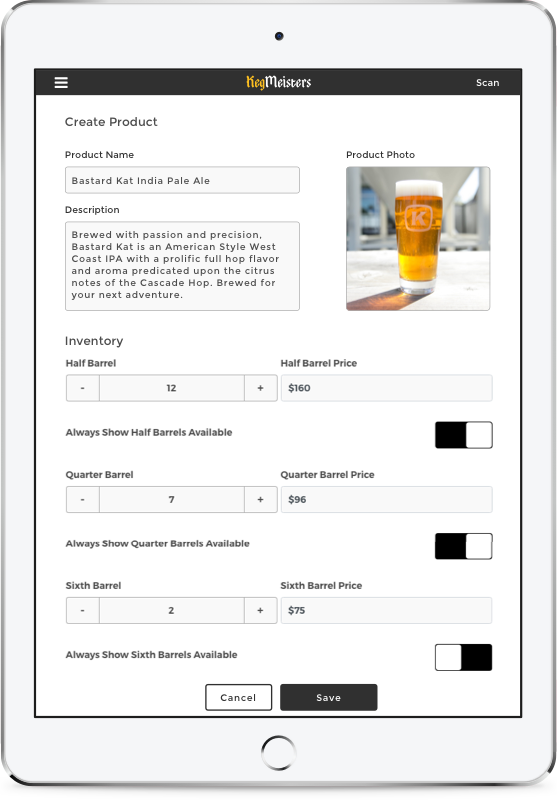 Use Kegmeisters to effortlessly accept online keg reservations, manage keg inventory, and keep track of your customer base. How much time does it take for you to complete a keg transaction? How many beers aren't being poured due to that? The math isn't good. With Kegmeisters, your beertenders can actually serve beer vs. filling out paperwork and trying to find a keg. Just pull up a reservation and scan the keg in or out with the Kegmeisters app - it's that simple. Did we mention it's FREE for breweries? When you sign up, we'll send you enough QR stickers to start scanning your kegs and hand taps with the Kegmeisters app. Just add beer types and select keg sizes, and you're up and running. Prep your "front of house" inventory based on that day's reservations. Consumers have the option to reserve and pay ahead online or in person on a tablet or smartphone. Do you know how many kegs you lose a year? 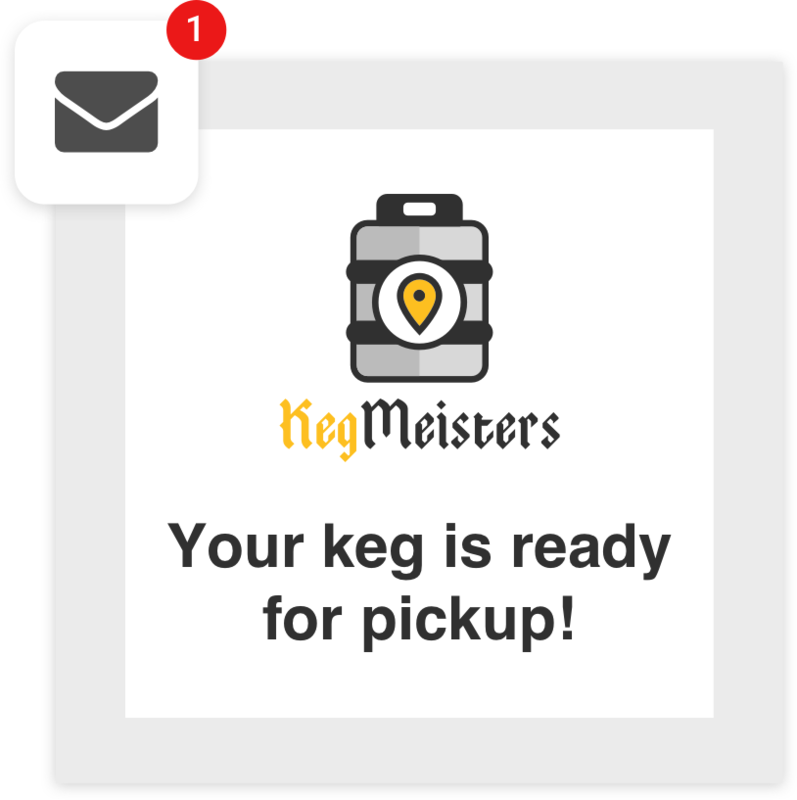 Kegmeisters shows you who has your keg, where it is, and when it's due back. 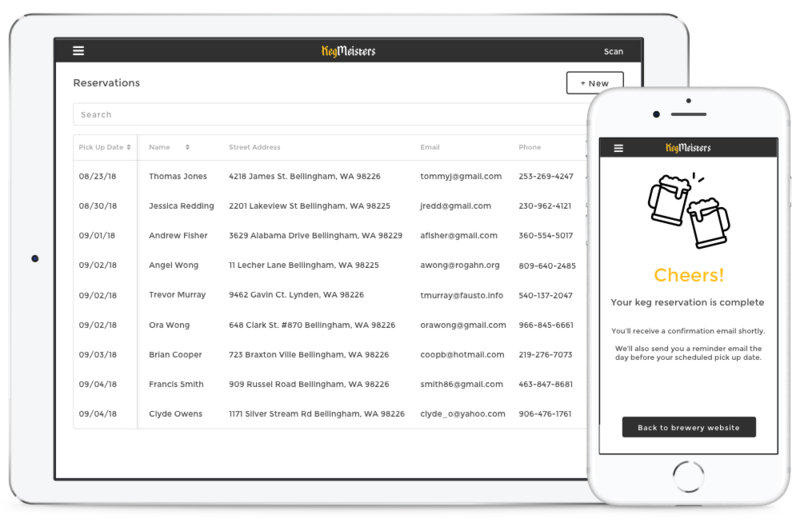 Plus, customers get automatic email reminders for keg pick up and due dates, helping you maintain more on hand inventory. In addition to the savings recouped from keg loss, Kegmeisters effortlessly grows your digital customer base. You can use the data collected by individuals renting kegs to market to your fans and grow revenue from cans, growlers and pint sales. Digitize keg reservation and sales with Kegmeisters - your customers will love you!